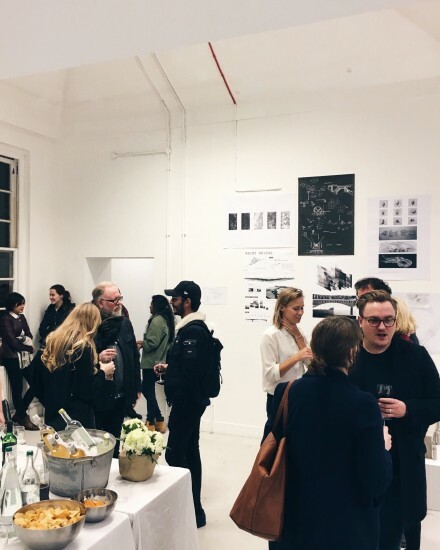 3rd Year students from Chelsea’s BA Interior & Spatial Design course recently held an exhibition called ‘Work in Progress’ at the college’s Cook House gallery. A new initiative and opportunity for final year students to collect and share their thoughts at the mid-point of the year, this exhibition also acted as a testing ground for them to consider the exhibition space and question how best to display their ideas in readiness for the end of year show. This year, the work focused on the North Bank – a part of London that is opposite the South Bank and walking distance from Chelsea College of Arts. It is an area of the city underpinned with great engineering history and known over the years for law, theatre, recreation and memorial. This year, students have focused on the different spatial identities and narratives of this complex urban space, with work exploring subjects from life under Waterloo Bridge to Shakespeare’s influence, to stories from Millbank and devices to view the Courtauld’s collection. We asked Course Director Colin Priest and exhibiting students Georgina Walters, Janette Chu and Winnie Chen to tell us more about the show. 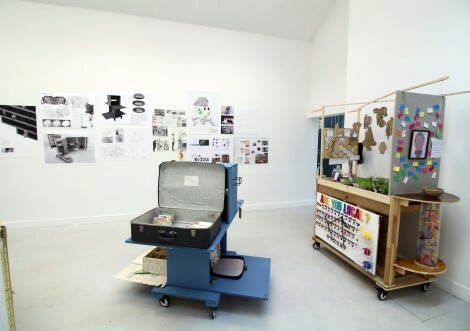 “Students on the course are grouped into Design Research Studios. These are research-driven teaching and learning environments, consisting of clusters of staff and students working closely on a focused agenda framed through individual design briefs. This maximizes the potential for peer learning and offers opportunities for cross-level projects, and inter-studio critiques and reviews. “The show was a great opportunity to see the breadth of work being produced currently on the course across the seven studios. I learned how to work diplomatically within studios and concurrently with other studios. It was imperative to consider the image as a whole. “Decision making has been key, including choosing materials. Teamwork is what makes the entire show [happen]. We understood the importance of planning an exhibition space for a variety of work. Together we have learned to negotiate and create spaces that can accommodate the uniqueness of each student. You can see more work from BA Interior & Spatial Design at our Undergraduate Summer Show from the 17th – 25th June 2016. You can sign up to the Undergraduate Show mailing list for updates.